You’re getting married!! Congratulations!! You’ve dreamed of this day all your life—going to Disney, getting married in front of the castle, riding in Cinderella’s Coach, taking your fireworks cruise, paying the bill… wait, what?! All that costs how much? Suddenly, your dreams of a Disney wedding are shattered. 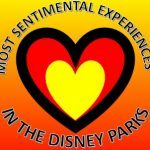 Never fear, the Disney Wedding Bloggess is here!! 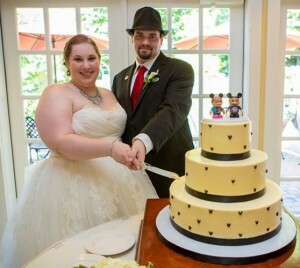 I had two weddings; one in Disney and one in my home state of Connecticut. My goal with the CT wedding was to bring as much Disney to the event as possible without it being an in-your-face Disney-fest. I feel (and have been told) that I succeeded quite beautifully in my goal and now, dear reader, I’d like to show you how I did it. 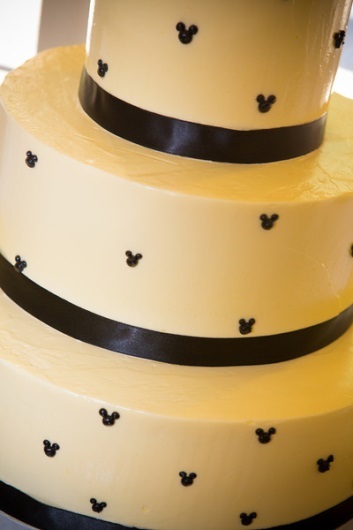 Whether you’re looking to have an all-out Disney extravaganza or just a few nods to Disney here and there, follow these tips and you’re sure to have an amazing Disney-style wedding. 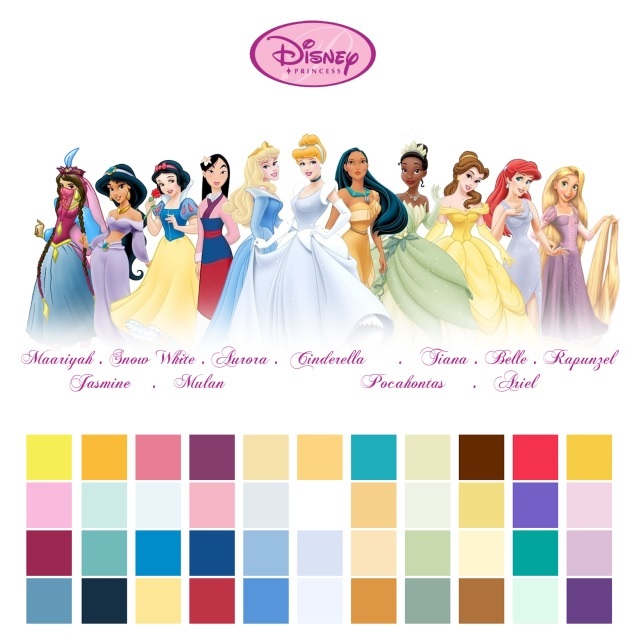 The most basic (and easiest) way to evoke Disney in your wedding is to choose colors that represent “Disney.” Whether it be a particular character, ride, resort, or other aspect of Disney, color is an amazing way to subtly hinting at your favorite Disney thing. 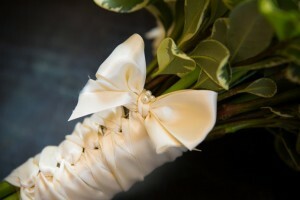 For my CT wedding, I chose the colors red, yellow, white, and black. Who do those remind you of? Mickey Mouse, of course!! 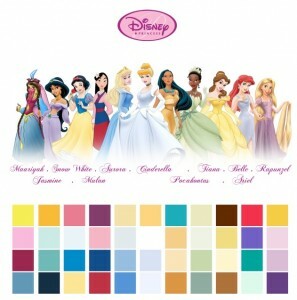 You could easily use color to evoke your favorite Princess (blue and silver for Cinderella, purple and yellow for Rapunzel, red, green, and purple for Ariel…the list goes on and on…) or place (silver and blue can be used to represent Cinderella Castle, pastels fall under Small World territory, burgundy, gold, and black can take you to the Tower of Terror…). You can then use those colors everywhere—your bridesmaid’s dresses, the groomsmen’s ties, tablecloths, napkins, chair ties…the possibilities are truly endless!! This is probably the easiest of all—include Disney quotes and references in your ceremony. The bridesmaids walked down the aisle to “Behind the Waterfall “ from the now-defunct Wonders of Life pavilion soundtrack. I walked down to “Waiting for the Lights” from Rapunzel. Our recessional was “Married Life” from UP. There are so many pieces of music that Disney has to offer; the possibilities are literally endless!! And when anyone mentions Disney, the phrase “Happily Ever After” springs to mind– that’s an easy one to add to the end of the ceremony. You can also have a reading of a Disney song—my sister read the lyrics of “One Song” from Snow White during our ceremony. Throw in a quote from your favorite Disney movie that’s meaningful to you. You can easily come up with plenty of ideas just by flipping through a Disney book or doing a quick Internet search. PROPS!! Props are the easiest and best way to bring Disney to your pictures. 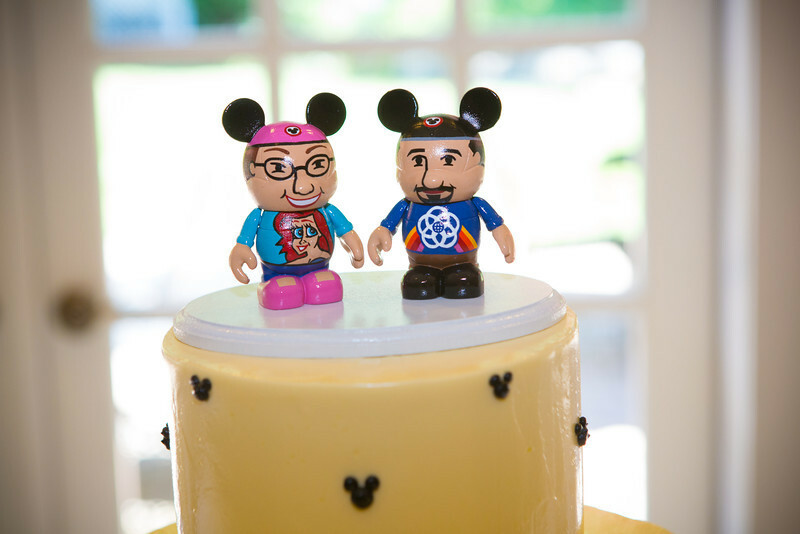 Whether you want to go bold and use an ear hat, include a pair of Disney lapel pins, or go subtle and have the groomsmen wear Disney socks and ties, you can do whatever your heart desires! You can even go as far as to have your florist make a hidden Mickey out of pearls and contact Disney floral and purchase some Swarovski crystal Mickey heads to include in your Mickey-inspired bouquet…. The best part is, a lot of Disney touches can go unnoticed to the untrained eye, so you don’t have to worry about the pictures looking “childish” or “tacky” (which shouldn’t really matter because if they make you happy, then your pictures are perfect and beautiful). This one might be a little tricky depending on your caterer, but I’m sure you can work with them if there’s something you want badly. Beer cheese soup shooters (to evoke Le Cellier steakhouse) sound like an awesome passes appetizer, don’t they? How about some banana pudding to represent your new ‘Ohana? Maybe you want to have a popcorn machine and some fresh baked cookies to make your venue smell like Main Street, U.S.A.? As for designs on the cake, you can have your baker write “And they lived happily ever after” on the tiers, have a hidden Mickey in the back, or do what I asked my baker to do and substitute Mickey heads for a typical Swiss Dot pattern. 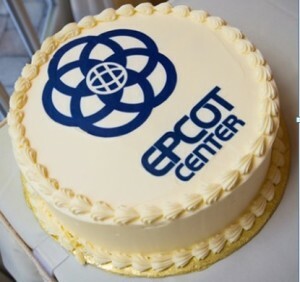 And for your groom, you can get a groom’s cake that pays homage to his favorite Disney park, ride, movie, or character. 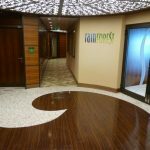 A great reception starts with great music—who needs the cha-cha slide? Have your first dance to Beauty and the Beast or shake your groove thang to “Stand Out” from A Goofy Movie. Once again, the possibilities are truly endless!! 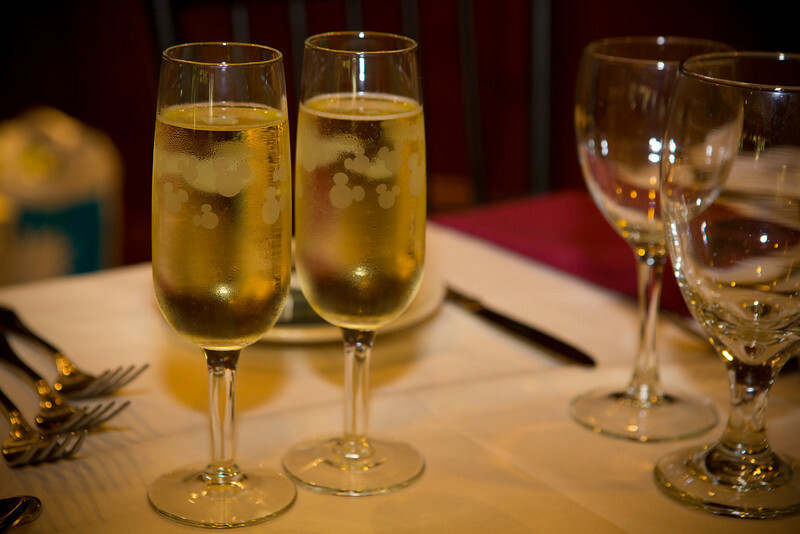 Grab a pair of champagne flutes with Mickey and Minnie (or another favorite Disney couple) on them—you can get those easily from Arribas Bros on Main Street USA (or the internet) or from someone online. 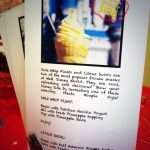 Your guestbook, centerpieces, and favors can all be Disney themed too!! Get a Disney autograph book or two and have your guests sign those instead of the typical guest book. 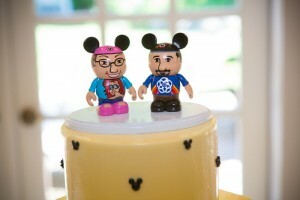 You can even get a few of the big, 9” Vinylmations and have your guests sign those in different colored sharpie markers! 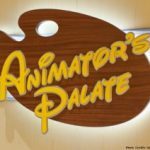 Name each table after a Disney movie or character. You can theme the centerpieces to each table, or they can match your overall color scheme. And for favors? How about some Vinylmation shaped soaps (easily found online) or Mickey head shaped chocolates? At the end of the day, your wedding will be amazing no matter what. Regardless of if you use every suggestion here or if you only use one or two, the most important part of your Disney wedding is love. Celebrate your love with the people you love most in the world—that’s what a wedding is all about. It will be a magical day, I promise. Amy is a 20-something Disney fanatic living with her Disney Prince in New Jersey. She has dedicated her life to all things Disney and is debating naming her first child Ariel. When not blogging, she likes playing video games, reading, and snuggling with her Disney-named cats. You can find her online at www.shortfatandsassy.com. Wedding pictures in this post taken by Dana Lane of Dana Lane Photography.